The list of professional women’s football players who choose to sport the cat grows longer and longer. Over the past years, PUMA has not only become one of the most functional, but also the most loved football brands among women. Don’t believe it? Then don’t take our word for it! Let’s hear what Olympique Lyon’s superb footballers and current semi-finalists of the UEFA Women’s Champions League Ada Hegerberg (NOR), Dzsenifer Marozsán (GER) and Eugénie Le Sommer (FRA) have to say about scoring in our boots. CATch up: What differentiates PUMA from other sports brands in football? Eugénie: PUMA has a family environment, which is very different from what I knew before. People are always available for me and have made me feel comfortable right from the start. There is a true relationship between us. PUMA’s consideration for women’s football is unique and this acknowledgement is very important for me. Dzsenifer: Being part of the PUMA family simply feels natural. Women’s football is taken very seriously here and I am thankful for all the great people I have met over time. CATch up: Which PUMA football boots do you play in? Ada: I prefer to play in the evoSPEED, in leather. 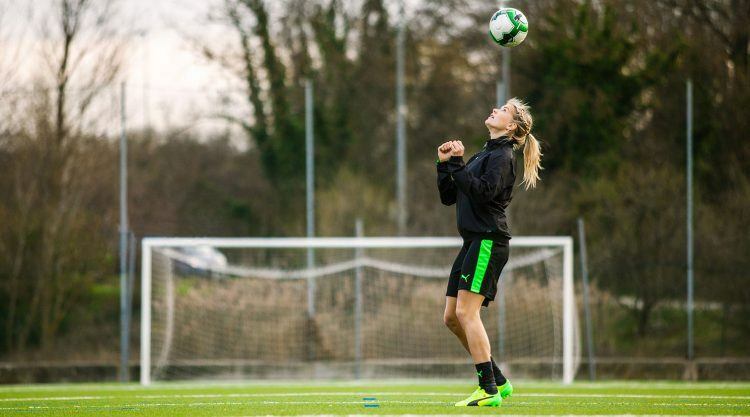 Eugénie: I also play with evoSPEED boots, because that’s the silhouette I immediately liked and I really felt comfortable with. Speed is one of my big strengths and it really fits to the evoSPEED. Dzsenifer: I love the evoPOWER, because its fit is outstandingly snug and it’s incredibly comfortable to play. CATch up: What are your major career goals and what can we look forward to? Dzsenifer: I want to defend our title at this Euro 2017 with Germany and I want to win all three main trophies with Olympique Lyon. Ada: At a young age, I have already won the Champions League, which has always been a huge dream. My ambitions are to keep on working hard to win new trophies with both my club and the National Team. Eugénie: I want to win as many titles as possible with my club and the French National Team as well as score as many goals as possible. I hope to win the Euro 2017 this summer and the World Cup in 2019 in my home country, France. CATch up: What was the most special moment in your career so far? Eugénie: The 2012 Champions League final in Munich. I scored the first penalty goal in front of 50.000 German people. That was an amazing moment, particularly given that we won the game and the title. Ada: Winning the Champions League with Lyon and being awarded „Best Player“ in Europe 2016. It is something that inspires me to take the next step everyday. Dzsenifer: Winning the gold medal at the 2016 Olympics in Rio de Janeiro! 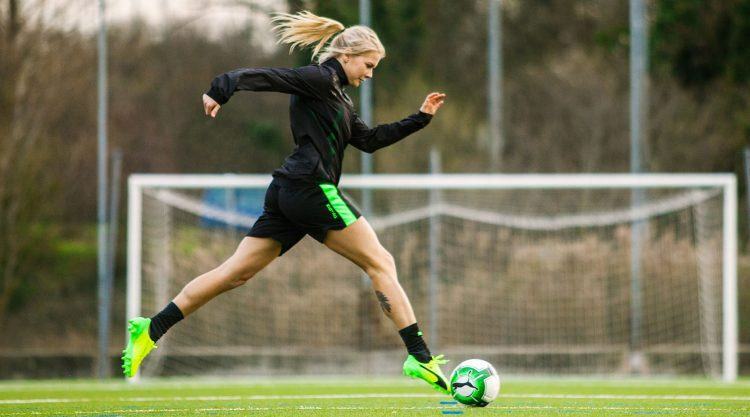 In this year’s women’s Champions League quarter final between Olympique Lyon and VfL Wolfsburg alone, a mind-blowing figure of 26 professionals boasted the leaping cat on their football boots.